The French began early with sailing across the Atlantic to the Americas. Already in the 16th century they founded colonies on the east coast of North America as well as in the Caribbean and South America. Some of these former forts and settlements still exist today and became large cities such as Quebec and Montreal in Canada; Detroit, St. Louis, New Orleans in the USA, and Port-au-Prince in Haiti, to name a few. In the West Indies, France ruled over many islands during the 17th and 18th century such as Haiti, Martinique, the Dominican Republic, Hispaniola, St. Kitts, Grenada, Guadeloupe, Tobago, St. Barthélemy, St. Croix, St. Lucia and St. Vincent. In 1555, the first attempts of establishing a colony in Brazil were made. Almost 75 years later a second attempt was made which failed too. Only French Guiana was successfully occupied and is presently still an overseas department of France. 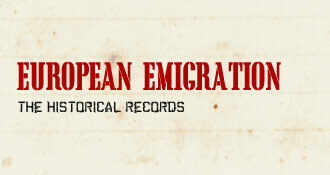 An incomplete source states that between 1820 through 1978 only about 750.000 French emigrants entered the USA.